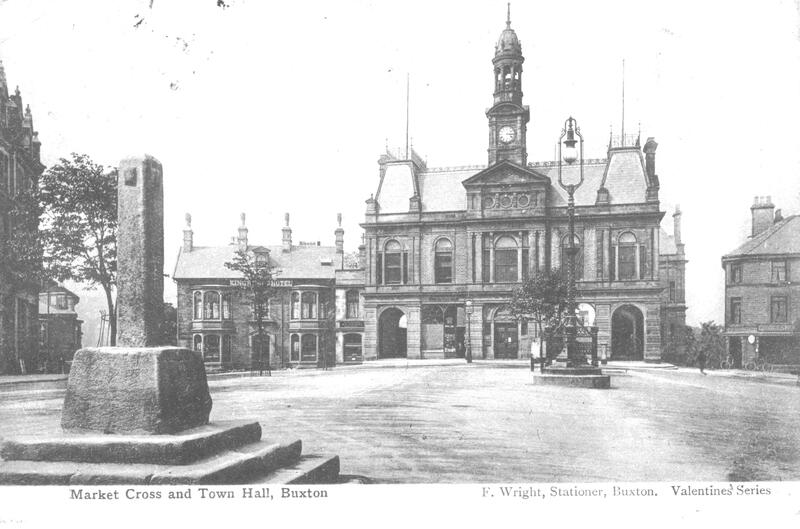 The town of Buxton has a central area with an important leisure, cultural and heritage content, which is reasonably well known to visitors to the town. 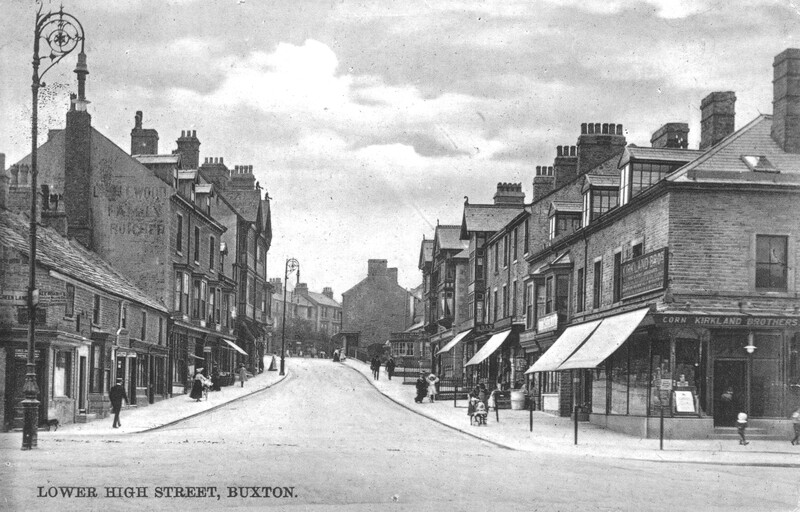 The oldest district of the town is Higher Buxton, stretching from the site of the Town Hall, along the Market Place to St Ann's Church at the top of Bath Road. Less well known are the surrounding residential areas and the important communities that border the central area, Burbage, Fairfield and Harpur Hill, each with its own distinctive heritage and community life. A map of 1631 shows Higher Buxton as a single street village spread along the area between the present Town Hall and St Anne's Church at the top of Bath Road, covering the Market Place and High Street. Two roads are shown , one leading down to Buxton Hall and the mineral water springs and the other to a building close to where the Grove Hotel now stands; these correspond to Hall Bank and Terrace Road. The video below from 1901 gives an overview of the town and the visual contrast to the description of the 1631 map. In the Higher Buxton area, the road layout is very similar today compared to the 1631 layout. The map also shows the water mill site on the Wye, where the weir in Ashwood Park is now located; this mill also served Fairfield village on the other side of the river. Although the street layout has not changed significantly since 1631, there has, of course been extensive rebuilding over the centuries. 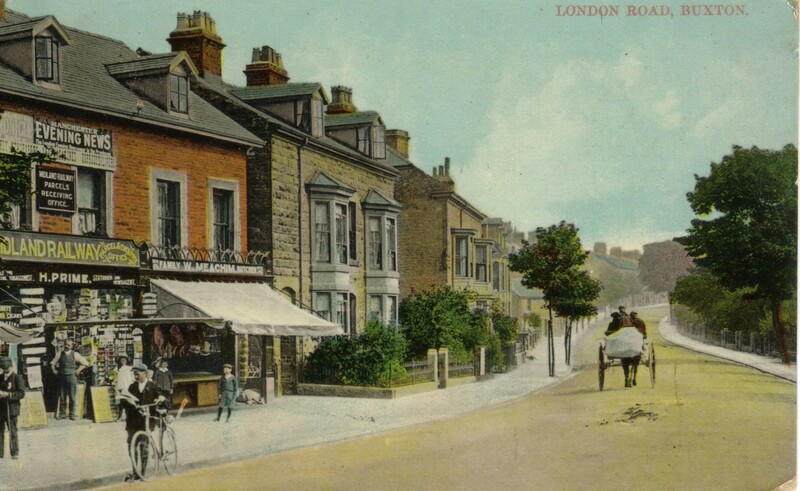 Following the arrival of the railway in 1863, buildings and streets spread out from the Market Place area , as the area of Hardwick Square was developed and in the early 20th century Dale Road was built linking London Road with Ashwood Dale.